Dr. Lana Staheli, a consultant on relationships and life strategies, has been in private practice for over 40 years. Dr. Lana is the relationship expert for KIXI 880 AM in Seattle. She is an author of relationship and self-development books, including Triangles: Facts On Affairs; Affair-Proof Your Marriage; The Complete Idiot’s Guide To Affair-Proof Love; and Bounce Be Transformed: Change Your Mind, Change Your Life, Change The World. Her newest book entitled Snap Strategies For Couples: 40 Fast Fixes For Everyday Relationship Pitfalls was released in 2015. Dr. Lana has been featured in the Seattle Times, Washington Times, Gannett News, and other syndicated newspapers from Anchorage, Alaska to Miami, Florida. She is a contributor to Parents Magazine, YM, Woman's World, First For Women, Reader's Digest, Cosmopolitan (International and U.S.), and others. She has been quoted for online articles for the Washington Post, MSNBC, and ABCNews.com. Lana has been a guest on Fox After Breakfast, The Maury Povich Show, Good Morning Texas, Town Meeting, KOMO News, AM Northwest, Northwest Afternoon, plus others. She has also participated in hundreds of radio programs and has spoken to audiences around the United States, Europe, and China. A founding member of the Board of Directors for the Center For Women & Democracy at the University of Washington, Dr. Lana is also the Founding Chair of the Global Networking Program. She is a member prestigious International Women’s Forum and current President of the Washington State Women’s Forum. Lana is also a former member of the Board of Harvard University’s Kennedy School Of Government. Dr. Lana and her husband, Lynn Staheli, M.D. have been married nearly 40 years. They are co-founders of Global HELP (Health Education through Low-cost Publications). She has also established an endowment at Seattle Children’s Hospital to offer her expertise to the medical staff. This is one way for her to give back to the profession that saved her life some 60 years ago. Lana was born with a then-fatal birth defect. At six months old, she weighed only six pounds. She survived because of her determination to fight against the odds and the will of the doctors and nurses to fight with her. 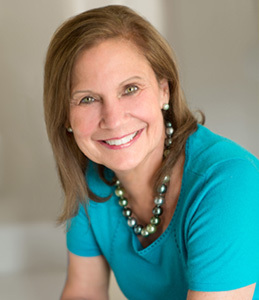 Dr. Lana answers questions confidentially on her website www.askdrlana.com and is a sought after speaker for national and international groups.